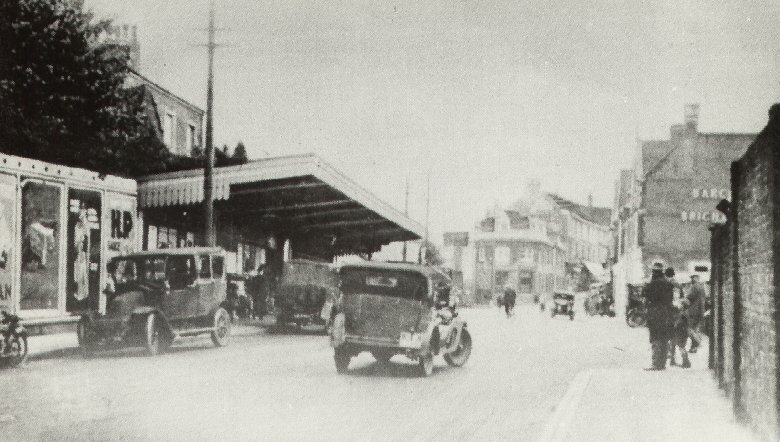 The old entrance to Haywards Heath Station (1930s). Scanned from a reproduction of an old postcard. 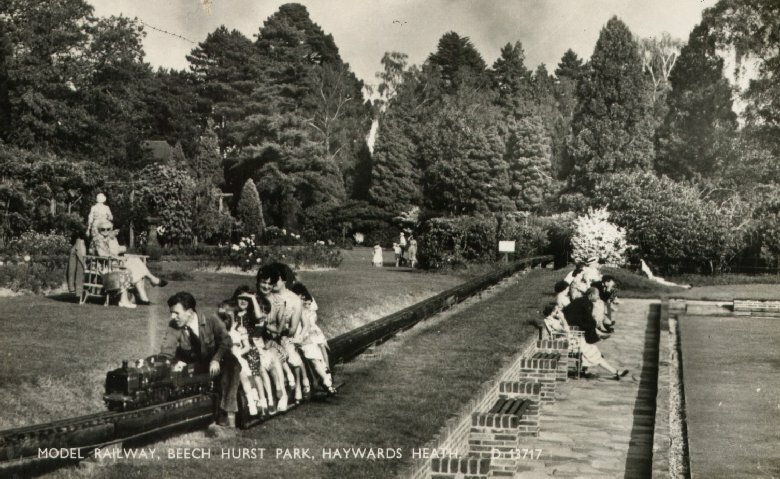 The model railway at Beech Hurst Park, Haywards Heath. 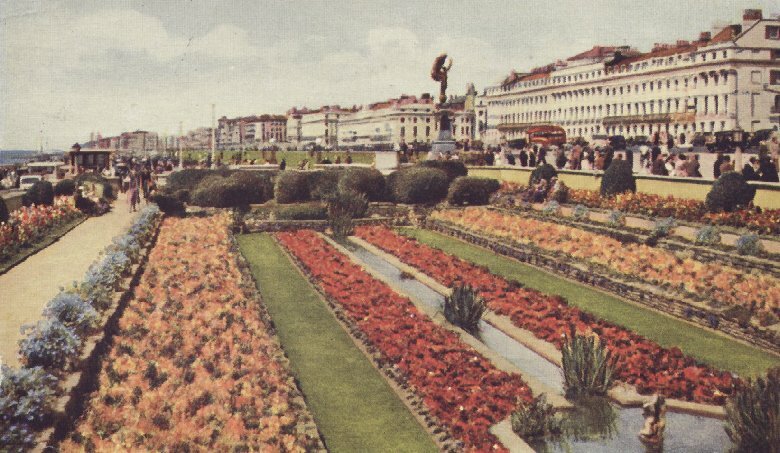 Postcard published by Shoesmith & Etheridge, Hastings. 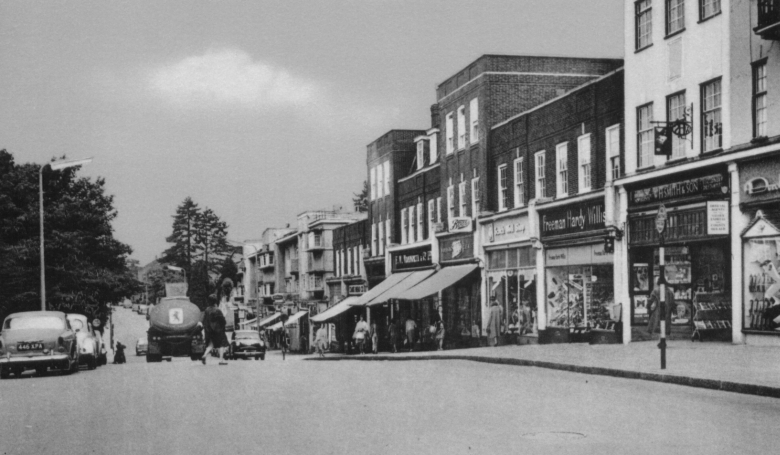 1950s or 1960s. 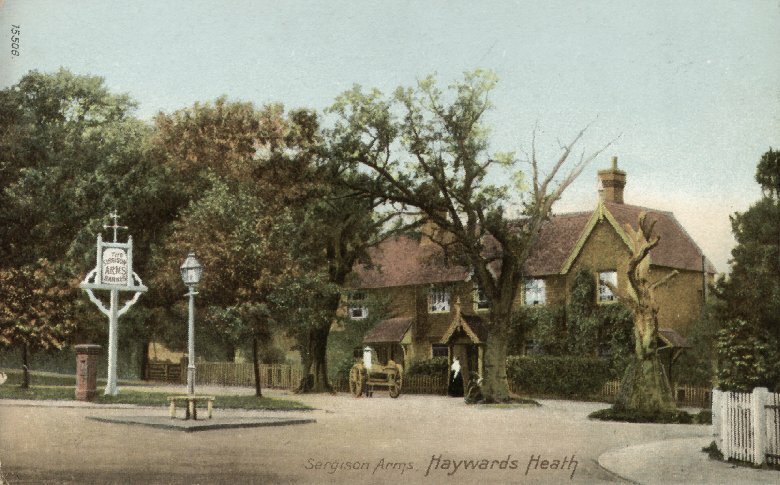 The Sergison Arms Pub, Haywards Heath. Postcard (undated and unused) in The Wrench Series, No. 15506. 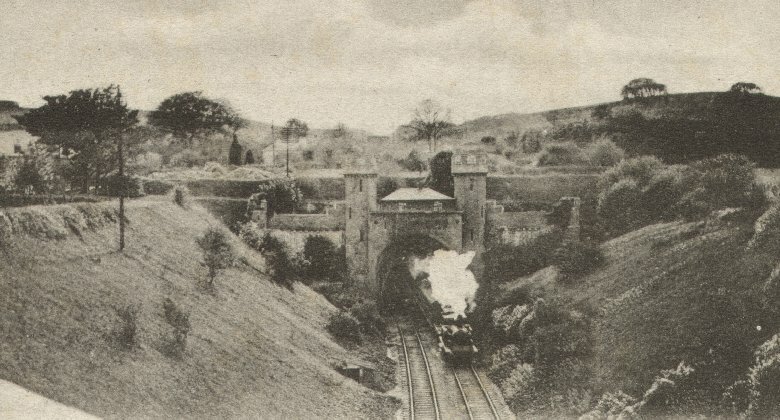 A steam train emerging from the Clayton Tunnel. An unused A. H. Homewood postcard. Postcard published by J. Salmon and posted in June 1956.